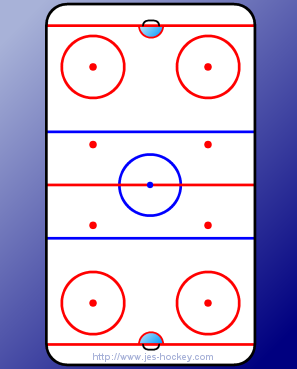 At this point the Centre can carry the puck around the defensemen using his speed or pass the puck again to the Left winger in the middle. 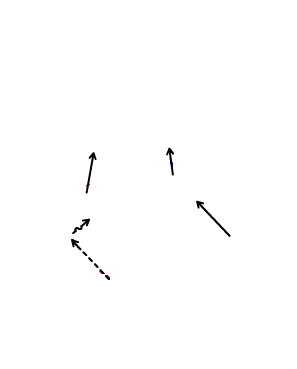 In this example he carries the puck around the defensemen using the speed to get past. If the C gets around and clear he can shoot or pass to the LW in the middle. If the defensemen stays with C he can drop pass to RW who is trailing.